A new project to celebrate Bristol’s rich cultural diversity promises to serve up a culinary treat – by encouraging local people to share the foods and recipes that reflect their heritage and their daily diet. 91 Ways To Build a Global City, brings the 91 languages and dialects of Bristol together through food. While language can sometimes act as a barrier, food is a universal language that can bring people together. 91 Ways celebrates the rich flavours and traditions of food from different cultures by sharing our dishes, recipes, and stories together and connecting with each other. Olesea’s food story is a story of celebration and of mourning; of childhood and womanhood – experiences which connect women across the world, whatever their nationality or social standing in the country in which they live. 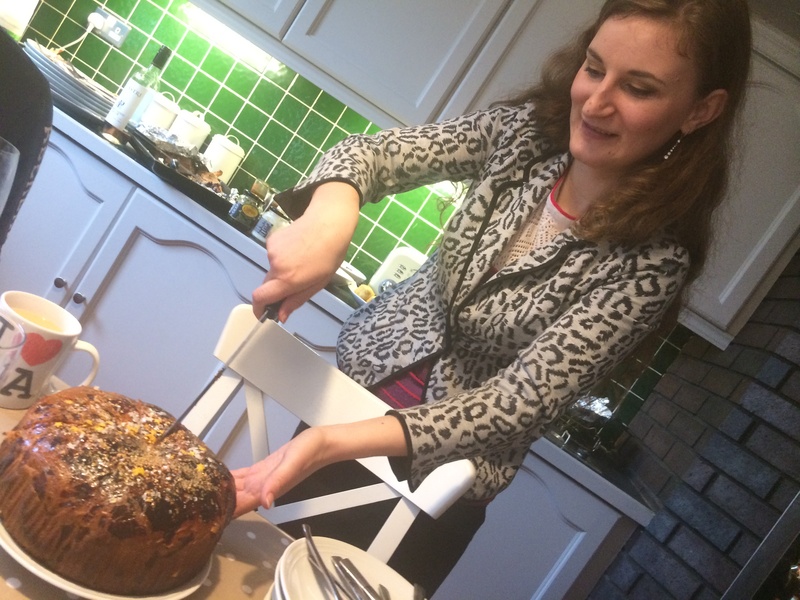 For mum-to-be Olesea, making and giving traditional Moldovan Easter pies with her mother is a special memory she treasures as she expects her first child in a few days here in Bristol. “My mother learned the recipe from her own mother who used to fill her pies with rose jam that she’d made herself with tea roses from her garden”. Easter Pies, or “Pasca”, as they’re called in the Eastern European country of Moldova, are made from a sweet, soft, enriched yeast bread. Seasoned with hints of nutmeg and orange, people in Moldova take the pies to the graves of their family and remember the days they spent together before they passed away. She continued: “My mother and I would make the pies together on Maundy Thursday night, then take them with us to the cemetery on our national holiday called “Pastele Blajinilor”, (translated “Easter of the Gentle”), which falls on the second Sunday after Easter. To the cemetery, we would bring with us one box for each relative we’d be visiting, containing the Easter pie, a candle, matches and some sweets. When we got to each grave, we’d insert the candle into the bread, light it, and stay for a couple of minutes to remember our loved ones: we’d visit the grave of my father, who passed away when I was very young, my sister who died when she was just 18 days old, and my grandparents. “As you can imagine it’s a busy day in Moldova as everyone goes to visit their relatives – often it would take us half an hour to walk from the cemetery gate to my father’s grave. 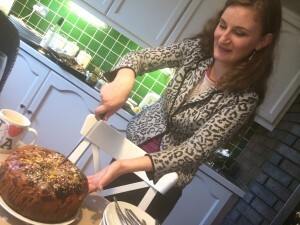 “I loved taking our Easter pies to the cemetery with my mother and as the Pastele Blajinilor” day arrives after Easter each year, I remember what we did and miss it – it was a part of my childhood”. 91 Ways to Build a Global City is being officially launched in June 2015. Until then, a whole series of events is planned for the coming months to show and share food stories. Like Olesea, we’d love for you to share the dishes that define your roots and share your food stories. Get involved and come and find us at http://91ways.org, Twitter and Facebook. You can also help to spread the word – Download and print this 91Ways leaflet to share at your workplace, local group, within your community or at your local pub! As well as trying new flavours, we are also passionate about where we buy our food and its impact on the environment; sharing knowledge about where our ingredients come from, and encouraging each other to ‘grow our own’ – perhaps opening up more allotments and converting courtyard gardens into places to cultivate spices and herbs. On our online pages, you can find and exchange tips for making tasty, unprocessed dishes from scratch, news about our events around the city and even competitions. By aggregating and sharing the knowledge and memories of the people of Bristol, 91 Ways hopes to create a modern social history through food as well as help all of us better understand how different communities live in a more connected global city.